Soo Hwang Chue sounds a little better in Chinese than it does translated into Vegetarian Yellow Sparrow, and like the Lion’s Head Casserole, these don’t really look like birds. Naming issues aside, it’s a fabulous dish. It takes a little prep work and a bit of finesse, so it’s one of those dishes that you want to make for your special vegetarian friend to show them that you went the extra bit for them. It’s full of so many nutritious ingredients like shitake mushrooms, black fungus, and lily buds, all considered to have medicinal properties to enrich good health. 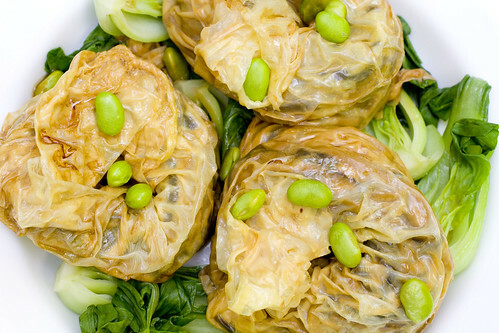 The edamame, dry bean curd, and bean curd sheets round-out this dish with an abundant source of protein. In my opinion, this is the perfect vegetarian dish. You may remember the Pork and Shrimp Lettuce Wraps I did last winter. If you missed it, don’t forget to check it out. I still remember how delicious they were. This past weekend, my mom showed me one of the ways she makes lettuce wraps, with a chicken and flowering chive filling. Its also super delicious! 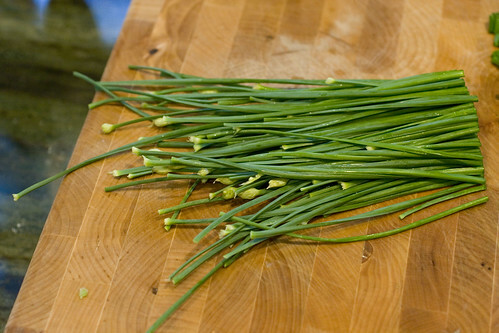 If you’re unfamiliar with flowering chives, you prepare them by picking off stiff ends, kind of like the way you break off the bottoms of asparagus. Then remove the flowers, which are bitter, and cut as you like. 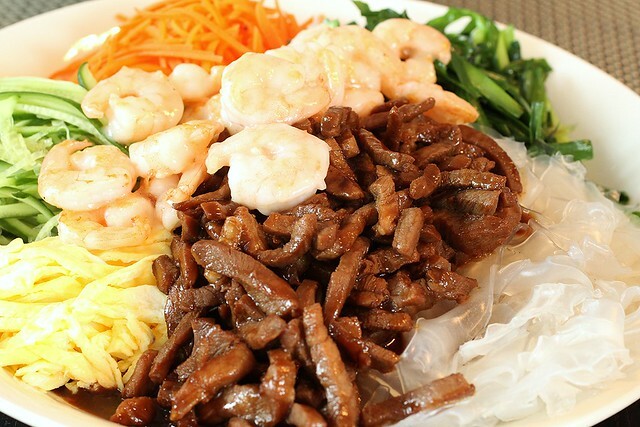 When I was a little kid, we had this dish at Peking Duck House and we loved it, so my mom started making it at home. I’ve still never seen it anywhere else, and it’s definitely one of my favorite dishes on Earth! 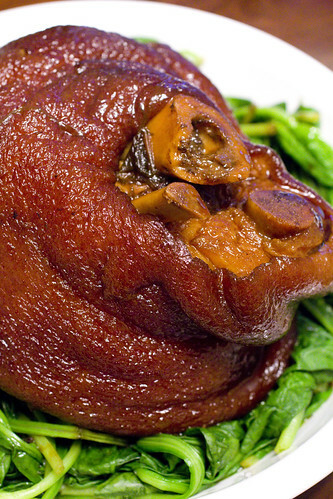 (BTW, this dish and the Peking Duck are the only good dishes at Peking Duck House. Do not get anything else.) I looked it up on their website, and they call the dish, Assorted Meat w. Vegetable w. Tiensin Mung Bean Sheets. That’s kind of long and I don’t like the sound of it. My mom has been calling it Luke-Warm Toss (in Chinese) for years because it’s a dish served at that temperature so I’ll go with something like that.